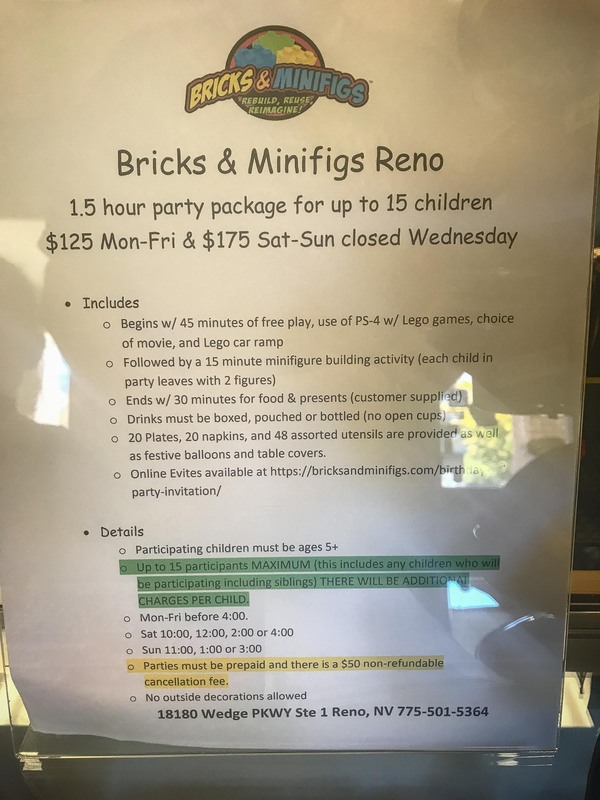 If you have a child that loves building with LEGOs or Duplo bricks toys, then Bricks & Minifigs is an absolute must location to visit in south Reno at 18180 wedge pkwy suite 1, Reno, NV 89511. 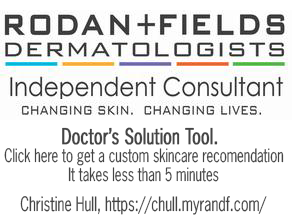 Located near Galena High School on the south end of town off Mt. 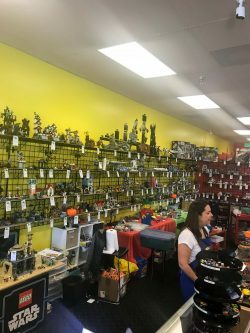 Rose Highway, in the same shopping center as Bully’s Sports Bar and Raley’s, sits a quaint little shop known as Bricks & Minifigs. 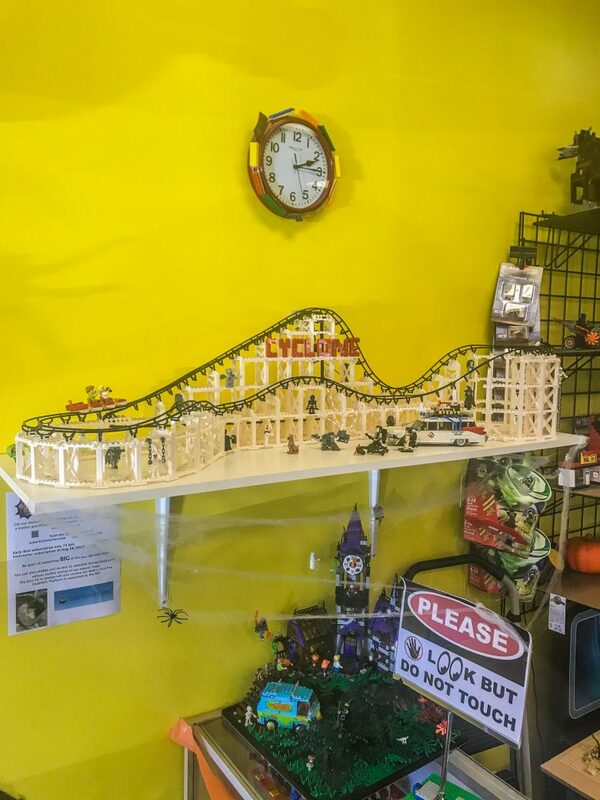 Technically, it is a franchised store, but boy, this store has a local flair and vibe where you can’t tell that it is a franchise. My son and I visit this location frequently, sometimes once or twice per month. The employees know us, almost by name at this point. 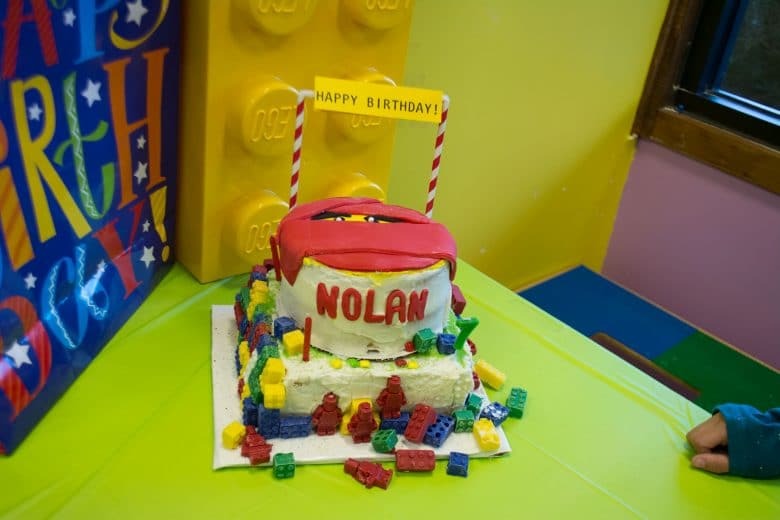 In fact, we had my son’s 7th birthday party there earlier in November 2017 as well. 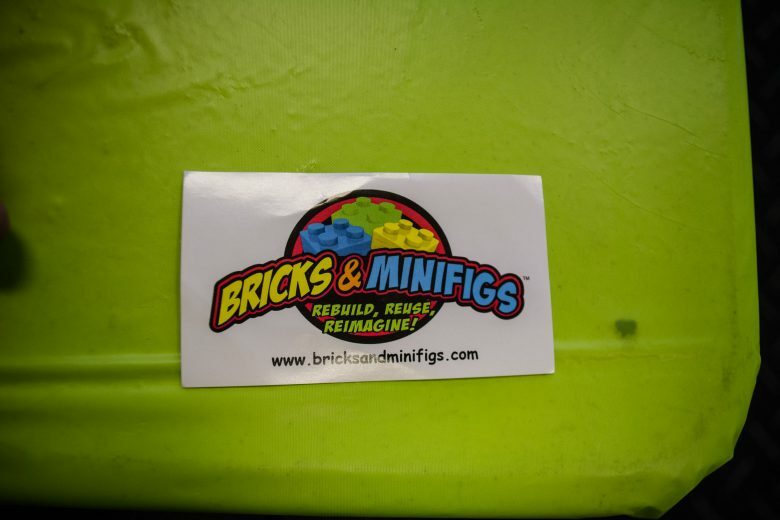 Bricks & Minifigs has open bins where you can fill a bag of miscellaneous LEGOs for anywhere between $15 to $50, depending on the size of the container if you’re not interested in getting a set (what I call building with instructions). 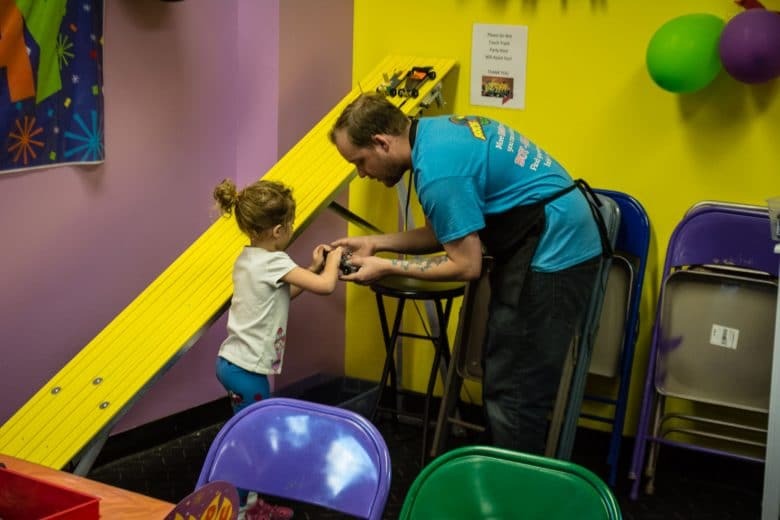 When sifting through these bins, you may be able to find missing pieces to your own sets or enough to let a young child’s imagination run wild with pieces that can make just about anything. 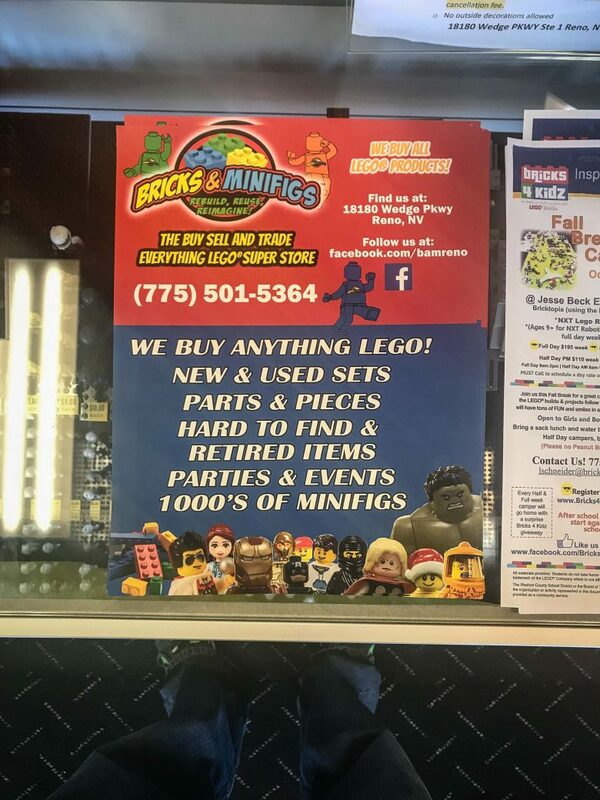 They also have pre-assembled minfigs that are in plastic clear balls and open bins to assemble a truly custom minifig that is as unique as the child assembling it. Even further, there are open bins with rubber tires for those wheels that are missing their treads and mini-sets in bags that you can pick up and keep in a purse or bag while out and about, such as a restaurant to keep your kids entertained when the kids’ menu and crayons don’t seem to do the trick any longer and you don’t want to necessarily give them your iPhone to play with at the table. 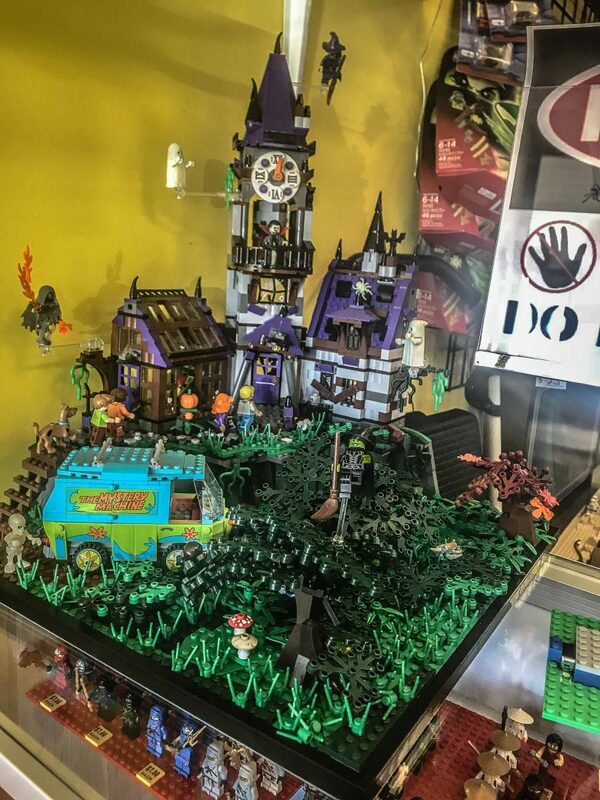 Beyond that, there are LEGO Dimensions characters there too from the Simpsons to Lord of the Rings and more, in boxes as sets where you can build the minifig that comes with a vehicle or gadget. But that isn’t the real reason why I am mentioning LEGO Dimensions. Beetlejuice Fun Pack game play: It’s ShowTime! LEGO Dimensions is secretly, well, not so secretly, my favorite thing to do with my son. It’s a special bond we have in playing the game together. For those who don’t know, LEGO Dimensions (view the wiki devoted to the game) is a video game where you can assemble a character and their vehicle/gadget and use it in a video game by putting them on a pad and putting their pad on the “Dimensions” portal. The “Dimensions” portal is a pad that connects via a USB cable to an XBox One, PS3 or PS4 where the character joins the game and unlocks their world. Some of my favorite characters to play as are Beetlejuice, the Goonies, E.T., The Powerpuff Girls, Slimer from the Ghostbusters and the Stay Puft Marshmallow Man, Finn the Human from Adventure Time, and a couple of others. 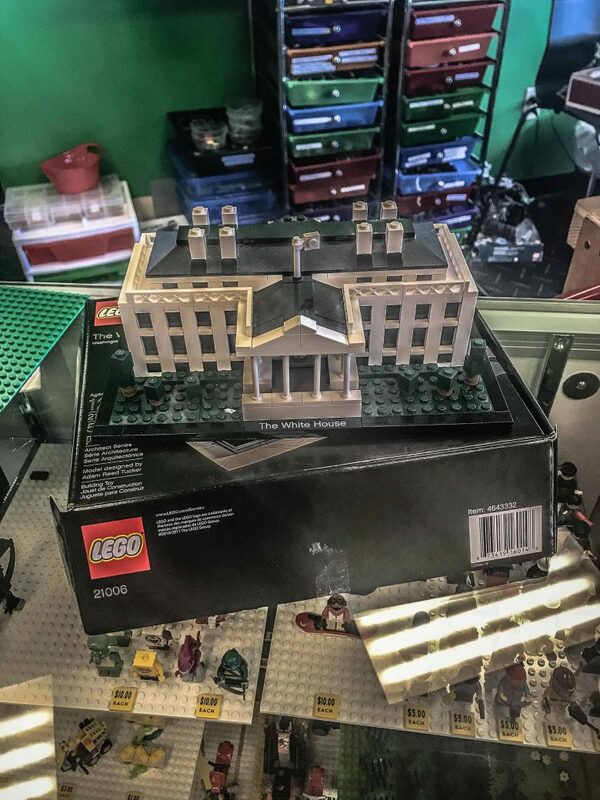 The ones I am still working to get for the game are Ethan Hunt from Mission Impossible, Gizmo and Stripe from Gremlins, Knight Rider and the new, 2016 version of Ghostbusters (Abby Yates is the buildable character) and the LEGO Batman Movie Story Pack. These characters are able to travel from world to world and mostly the game is a bunch of puzzles that unlock gold bricks that you can use to upgrade their vehicles/gadgets to enhance the gameplay. I really enjoy the game because it isn’t all too violent (there are times when there are bad guys you need to defeat to get a gold brick) and they also have different kinds of packs. 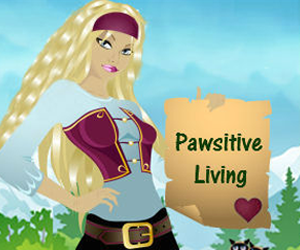 From Fun Packs and Team Packs (where you get to play around in the worlds) to Level Packs where it unlocks a level to play in that is themed for the character that contributes to the game’s storyline that is rather engaging. The most fun I had playing a level is the Dr. Who Level Pack. That one was really long and a lot of fun with their puzzles and taking the TARDIS to different chronological eras and times, and locations on Earth and in outer space. Now, here is where I let you in on a little secret. At Bricks & Minifigs, they also have just the LEGO Dimensions character game pads for anywhere from $1 to $2 each. No character, no vehicle/gadget, just the game pad. This was a game changer, literally, when my son and I found out they had these pads, becuase it expanded our gameplay exponentially. In fact, just this weekend, we picked up Bubbles and Blossom from the Powerpuff Girls universe for $8 total where it would have been $24.99 (at the time of writing this article) on this site/via Amazon.com. They don’t have every single character’s game pad in stock, but if you’re like me and lucky enough to puruse the bins of game pads and recognize one you don’t already have, you can pick it up for a fraction of what it costs to buy it as a full pack at retail. Through this method, I was able to pick up Marty McFly from Back to the Future, Dr. Who, Homer Simpson, the Lord of the Rings characters, Stay Puft Marshmallow Man, the Powerpuff Girls as I mentioned above and many more. However, even more telling of this story, I seem to spend way too much money at this store every single time we visit. 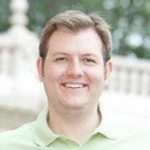 Black Friday, this past Friday was especially dangerous for us as a family financially. 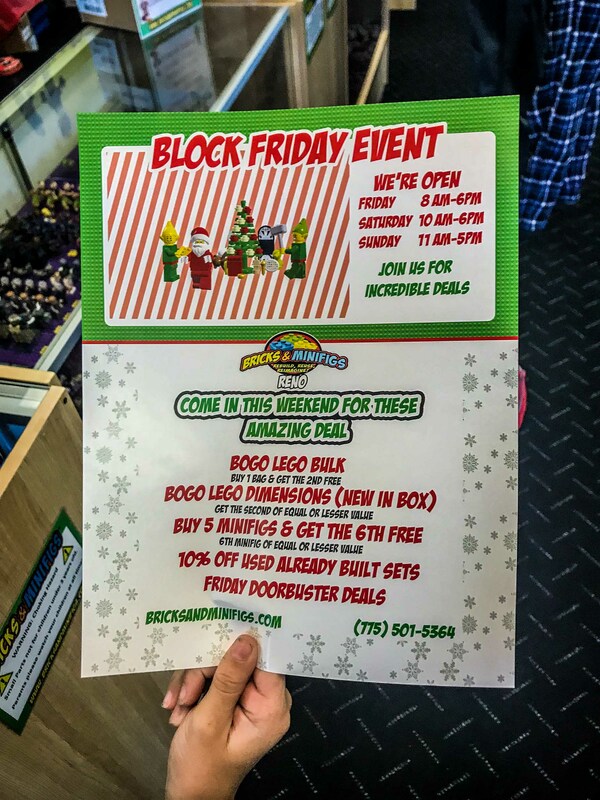 We walked away with some great deals, including a free minifig (sorry R2-D2! He was eaten by the dog, so we lost one of our two that the kids got for free within minutes of coming home; I guess that is the nature of a 1 year-old Chessapeake Bay Retriever for you). Here I am, rambling on… Let’s continue, shall we. Goonies Level Pack game play: Hey, you guuuys! Did you say Bricks & Minifigs hosts birthday parties, too? Yep. 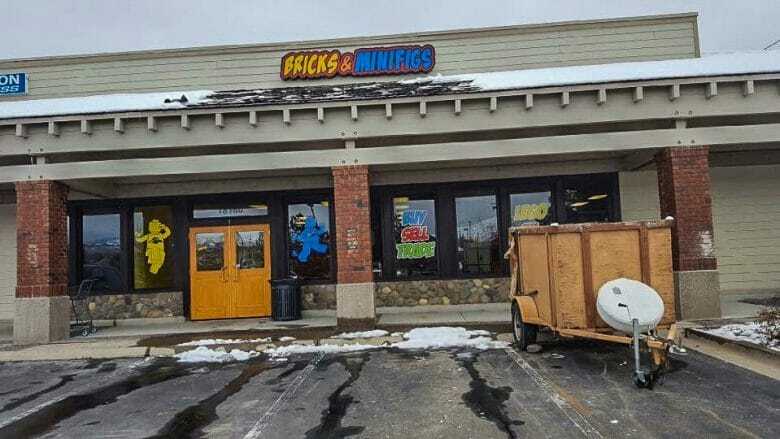 My son, as soon as he set foot in that store and found out that they have birthday parties, immediately begged for his next birthday party to take place at Bricks & Minifigs. Who are we to deny our middle child who wants nothing more than to play with LEGOs and play video games about LEGOs all day long? He even wears clothes with LEGOs on them too. 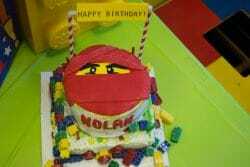 The best part, lasting memories and the happiness of a son who wanted to have his birthday party here for so long. All-in-all, my son and most notibly my wife, really enjoyed the affair. I did too. We didn’t have to clean up anything. Bricks & Minifigs staff took care of cleaning up after the party. 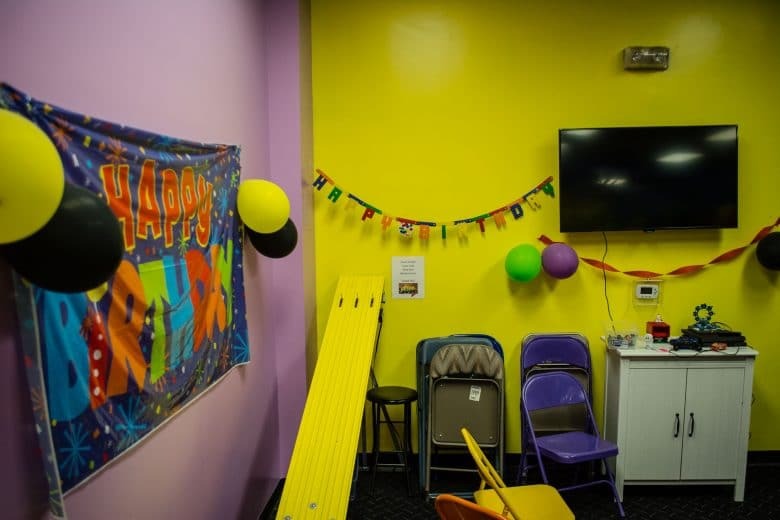 We were able to be in the party room for 1 and a half hours too! That was a real bonus. It didn’t feel rushed between activities. 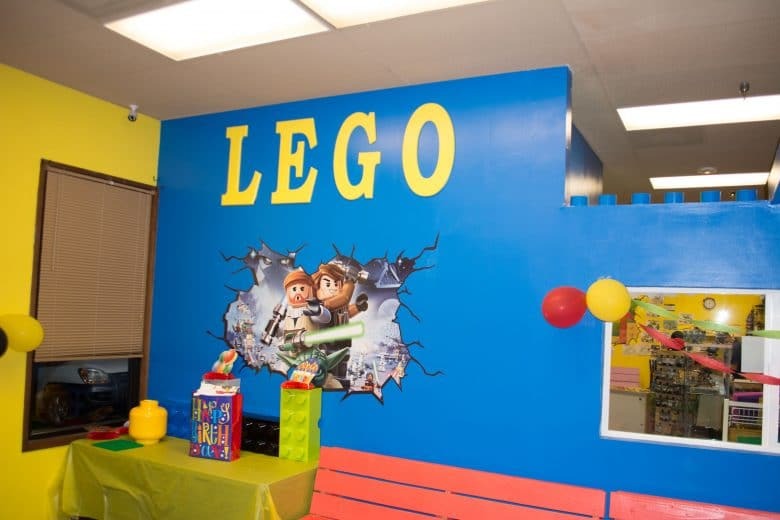 They were really laid back in their approach to handling the birthday party. I used to work at Fun Quest, when it was still the Reno Hilton in the late 90’s – early 2000’s (does that date me?) 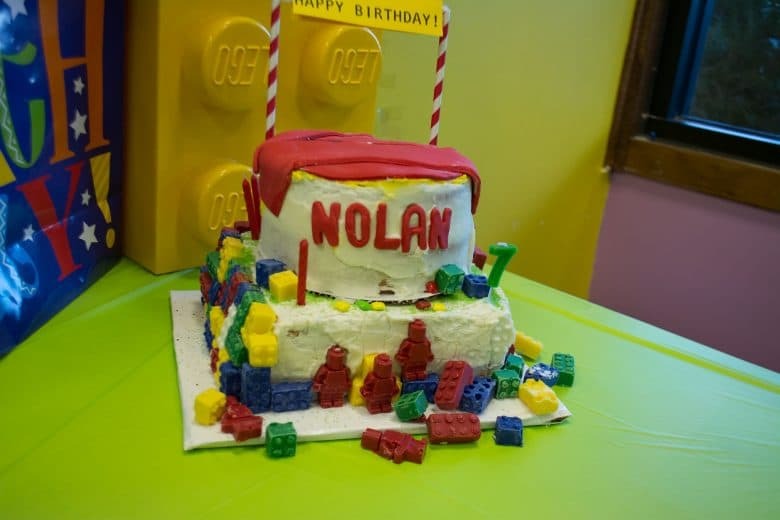 and I know a thing or two about making a successful birthday party happen. 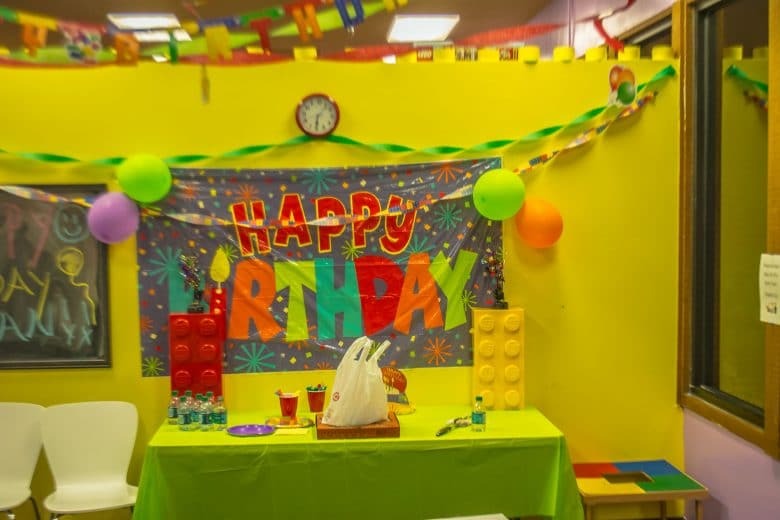 Bricks & Minifigs staff really know what they are doing when it comes to birthday parties. Well, that is pretty much all I have to say about this family-friendly store. Although, if you let me, I can keep going, I’m sure. 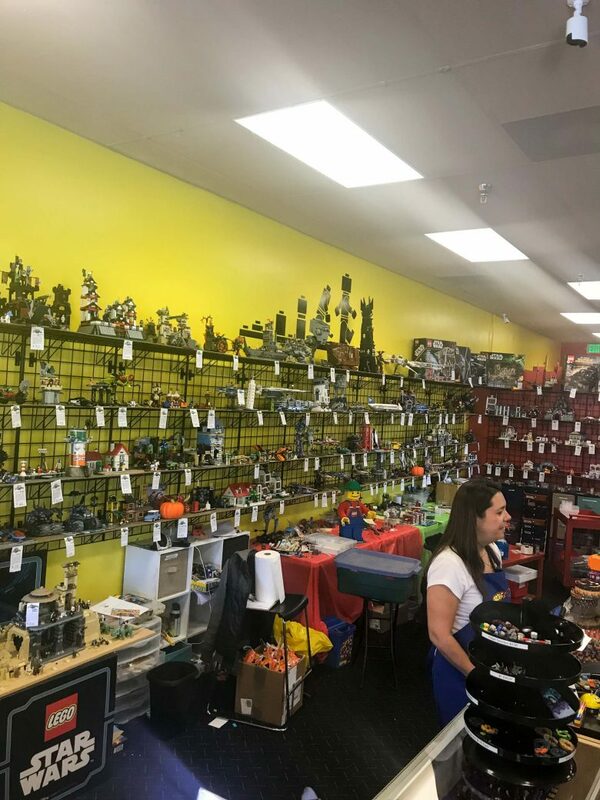 If you’re looking for more information about Bricks & Minifigs, please check out some Bricks & Minifigs reviews on Yelp or stop by to see this fantastic store for yourself and tell them you heard about the store on Windy Pinwheel. 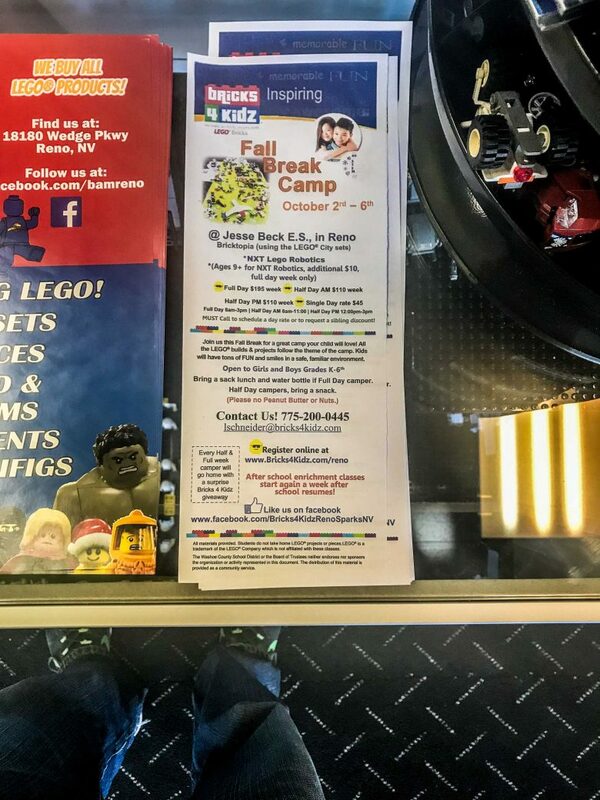 Need to know: They accept all major credit cards, host birthday parties, LEGO sets in the box or in open bins including minifigs (mini-figures), LEGO tires, small and large sets for any price point you are seeking to spend. Extra Extra: Ask to take a look at their LEGO Dimensions game pads. 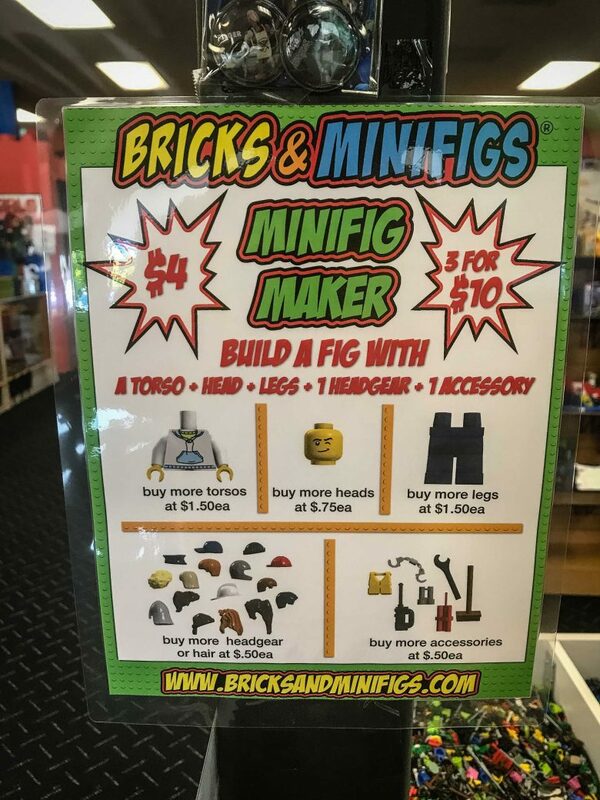 Bricks & Minifigs sells them for $1 – $2 depending on the kind of gamepad to find those characters you don’t yet have or don’t need the set to play.